Spring is here again and summer is not far away, less mud and more and more dandelions on the ground, a great balance needed when playing football on the grass in order to avoid both, the tricky mud that might deprive you of a spectacular goal and make you a spectacle in the eyes of the dandelions. These are pure beauty on the leaves of grass, not wild but rebellious, a lovely anomaly that you do not want to disturb. After school Daniel wants to play, I want to read. We play and then read, read meticulously. 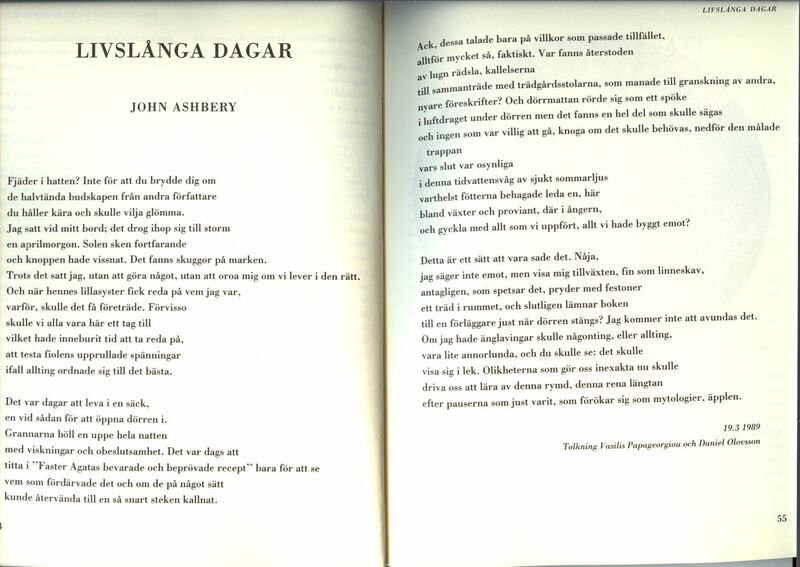 I promise to play and Daniel promises to help me translate a poem by John Ashbery into Swedish, “In Vain, Therefore”, later in the collection Hotel Lautréamont (1992). We published it in Allt om böcker 3, 1990. Here Ashbery speaks about dandelions and mud. About dead dandelions. Summer costs. Or have they been run over by a Land Rover? Don’t run over, please, Land Rover. Daniel takes a break and draws the Land Rover we had parked near the football grass. 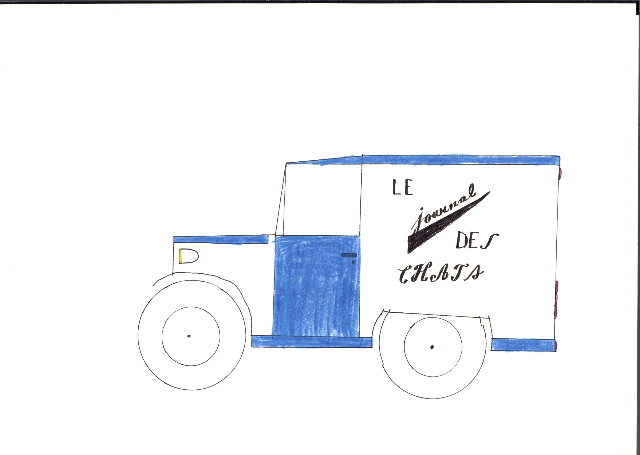 He had practised on similar cars before, one that distributed his magazine Le Journal des Chats, where we between biking around and doing homework published the first two stanzas of the “Hymn to Freedom” by Dionysios Solomos, the embarrassingly romantic lines that constitute the Greek anthem. I think Ashbery would have been a Land Rover dealer were he not a poet. Has he ever driven one? Lo Snöfall laughs at my thoughts. But she too likes the way Ashbery writes about landscapes in his poetry, how much he loves plants and flowers and the countryside. A four wheel drive Land Rover would only help him to wander more easily on any surface and take any directions he pleases without hesitation or warning. 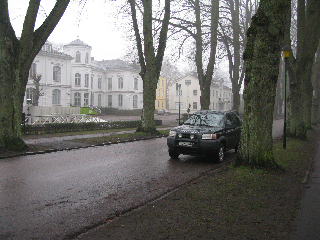 He writes like I drive my Land Rover, or like I follow it, let it take me to the worldly street of Kalmar, one of the most beautiful I know anywhere, where I sit at my favourite café and write or make notes on how to translate or write on a poem by Ashbery. 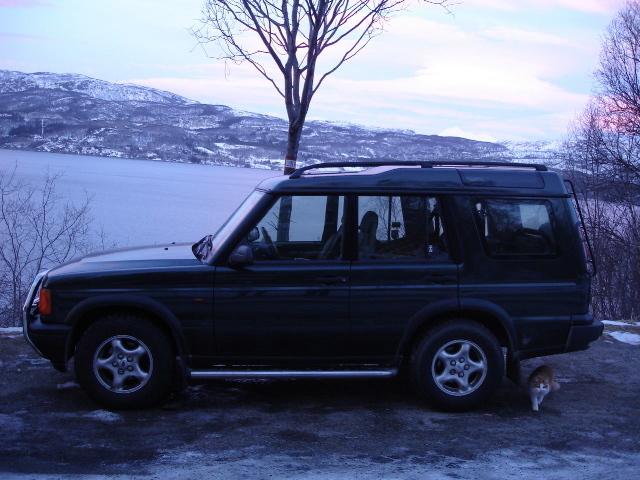 And he writes like the cat is sitting under Lo’s Land Rover, thinking without thinking, being active without moving, a rover resting while wandering. But where? 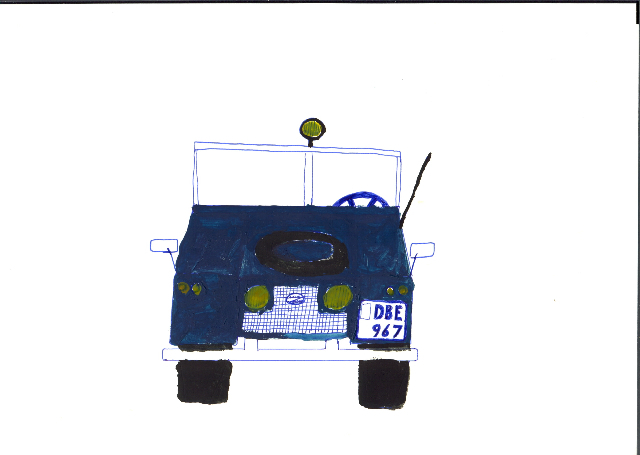 Daniel wants to draw another Land Rover. What will that one do this time? Good to have it when time comes to carry the apples from the muddy orchard. Of course. 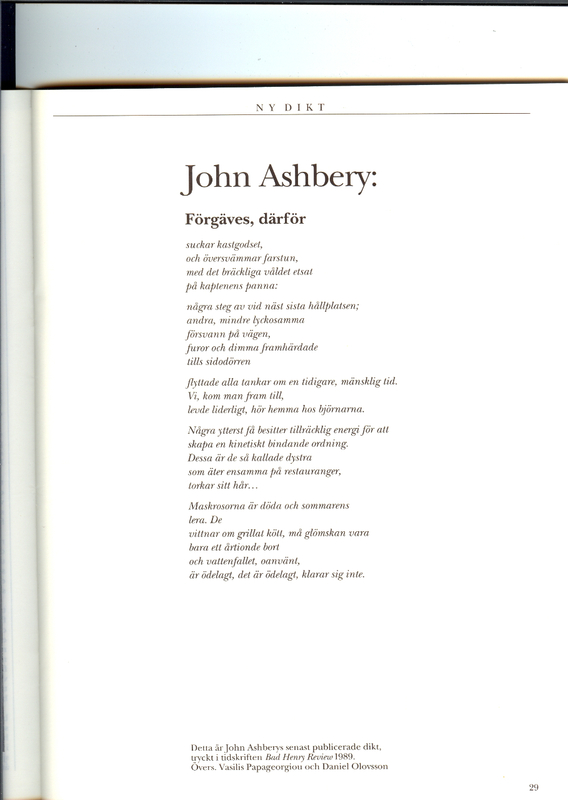 And you will help me to translate another poem by Ashbery who knows about apples and orchards. Deal. We translate “Livelong Days” this time (the order of our translating expeditions is not clear in my rovig mind), also this one in Hotel Lautréamont. We publish our translation in Artes 4, 1989, the fine magazine that inexplicably does not exist anymore. The poem ends speaking about mythologies and apples that are multiplying. I miss playing football with Daniel, and I miss translating Ashbery with him. But we have the worldly countries and multiple landscapes of Ashbery, and the Land Rovers to take us, or like cats park them, anywhere we like.